Looking for a little fright to go with your fa-la-la? 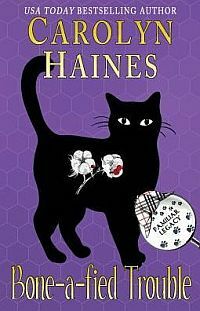 Three thrilling horror writers—Lisa Morton, Carolyn Haines (aka R.B. 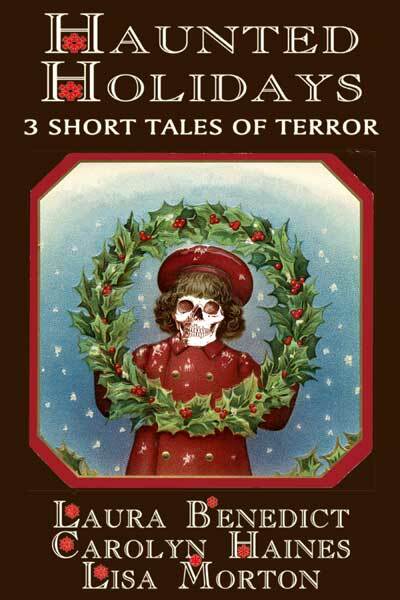 Chesterton), and Laura Benedict—bring you three short, sharp tales of terror to liven up your holiday fireside reading. In a last-ditch effort to save their troubled marriage, Elise and Ray decide to get out of London for Christmas and spend time together at the tatty, atmospheric Yorkshire cottage Elise has inherited from her Aunt Priscilla. When Ray surprises Elise with The Christmas Spirit, an old book he’s bought in the village, Elise reads it aloud, anxious to make their stay a success. But the tale of murder and violence transcends time, reaching out for Elise and Ray, threatening not just their marriage, but their lives. Homesick and stuck at Cornell University over the Christmas holidays, Clair and four of her fellow grad students accept Carlos Ard’s invitation to spend Christmas at his great-uncle’s isolated Victorian summer home deep in the woods. After a Christmas Eve feast, everyone settles in to hear ghost stories, but after Carlos brings out a box containing a family heirloom from Romania—a Christmas ornament that’s so cursed that it cannot even safely be seen—the adventure becomes a nightmare from which Clair may never wake. Venus Hansen has a perfect face, a perfect house, a perfect husband and two perfect children. When her mother-in-law in Norway sends them a shabby wooden Christmas gnome, Venus’s perfect husband, Steffan, insists on surprising the children each morning before Christmas with some holiday-themed mischief that the gnome has gotten into, just like a certain elf that lives on a shelf. Venus doesn’t want to have anything to do with it, but when Steffan’s pranks go awry, and the gnome starts telling Venus vicious secrets, Christmas turns deadly, and her perfect life will never be the same. Stick around after the end of the stories, if you dare. Lisa, Laura, and Carolyn have all included thrilling samples from their other, current books as a special treat.